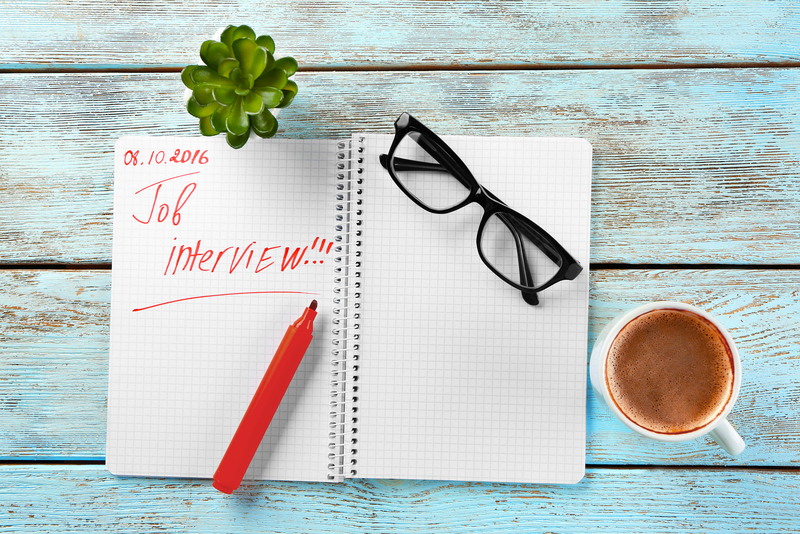 Job interviews–the dreaded love/hate relationship. Some people love interviewing with companies and cannot wait to step foot in the building to sell themselves. Other people have an impending sense of doom at the thought of going on a job interview. We have all been there and we all have our own reasons as to why we feel a certain way about job interviews. Maybe you had a bad experience during a previous interview or maybe you really don’t want to discuss your past employer because you left on unfavorable terms. If you are one of those people that do not like interviewing, you do have another option. Try to shift your paradigm on interviews and approach them from a different perspective. Instead of debating your success or failure with interviews, focus on educating yourself on how to best answer the questions so you are coming from a position of strength instead of a position of weakness. View job interviews as a positive way of promoting your resume and your unique personal brand displayed on your resume. I have been coaching and advising my clients for 2 decades on how best to approach job interviews and exactly what hiring managers are looking for during interviews. If you can increase your knowledge on job interview strategy and how to answer the questions they ask you, you will strengthen your confidence when it comes to interviewing. Job interviews are another opportunity for you to sell yourself–just like you did in your resume writing. Here are some tips for you on some of the top job interview questions. This is one of the most asked questions during job interviews. What hiring managers are looking for is to see how good of a fit you will be within their organization. They want to see if you will fit in with their corporate culture and employees. When you start to tell them about “yourself”, you should give them a picture of you personally and professionally. You cannot do this on a resume, but this is why interviews are so valuable. They can help you show another facet of yourself. Most people go in there and discuss themselves solely in the context of their career. That is expected. Of course you will give them details about your career, but this is also an opportunity to go above and beyond and talk about who you are and what motivates you. My rule of thumb is 10% personal and 90% professional. For example, it’s okay to say that you are involved in the Girl Scouts with your daughter. But the focus should be on your leadership skills when you led the cookie campaign, your financial skills when you managed the budget, or your cost containment skills when you saved their troop money. The goal is to align “yourself” with what they are looking for in a qualified candidate while showing how every opportunity you encounter (personally or professionally) motivates you to further hone your expertise. Why are you looking to leave or why did you leave your last company? This is your opportunity to show your character. You don’t have to say you disliked your boss or that your salary was too low. You can reference things like the lack of growth opportunities, feeling stagnant, or not feeling challenged. Never bad mouth a company you worked for or gossip about its inner microcosm. Hiring managers are not looking for a detailed rant on everything that you hated about your current/last company or any of its politics. Instead, they are looking to see if you are willing and able to go the distance with their company. They will perceive things like wanting to grow and take on more responsibility as a positive thing because they would be able to accommodate that. They are also looking to see how you publicly speak about your current/last company because that is indicative of how you will speak about their company in the future. If you were to work for them and then decide to leave, how would you speak publicly about them? If you are negative about your current/last company, they would assume you would be negative about them as well. This would negatively impact their employer brand and could potentially impact the quality of employees they could hire and retain in the future. This is a big deciding factor in whether or not they should hire you in the first place. This is your opportunity to shine and set yourself apart from the other candidates! All of that research you did on the company–talk about it. Any press or social media things you read about them–talk about it. Reference things about their corporate mission or vision and align that with why you are a good fit for them. This question is designed to see if you truly want to work for them or if you will work at any company that extends an offer. This is a big deciding factor as well because this impacts their employee retention and costs to onboard new employees incase you leave for a better opportunity. This is a trick question designed to see if you are a job hopper. It is also a sneaky way of seeing if you have goals to take on new challenges or if you just want to coast along and just collect a paycheck. If they hire you, will you stay long-term or will you leave after one or two years? Will you thrive in taking on new challenges or will you cut and run because it required too much work? Whether you plan on staying with a company long-term or not, that is not something that needs to be addressed at this point because you don’t know what the future holds. Provide your answer based on where you are now and how you would like to grow professionally within this organization. Of course you have questions. You should always have questions. Incase you don’t have questions, make some up! This is an opportunity for you to show your interest in the company and your quest to learn as much about them and the job as possible. An engaged employee that asks questions is someone that will be more likely to grow within their company. Again, this greatly impacts hiring decisions because an engaged employee is a retained employee. When it comes to job interviews, the bottom line is that you should be up-front and honest while making sure you are strategically positioning yourself. The goal is to show that you researched the company and that you really want to work at their company. Be actively engaged in learning as much as possible about the job and what it entails. When you ask questions and show that you want to grow professionally, hiring managers will assume the likely progression would be within their company. If you come off as someone that sent out dozens of resumes desperately hoping for any job offer, then no company wants to hire someone like that because they know the probability of you leaving is very high. Companies want to hire someone that displays a long-term commitment to working for them while expanding their horizons WITHIN their company, not outside of their company. Ultimately, answering job interview questions properly and selecting the right candidate for a job effects employee retention, how that impacts their bottom line with onboarding costs, and how their employer brand is effected if you leave. As long as you strategically answer the job interview questions by showing why you will be an asset to them and how your commitment will further strengthen if you are hired, you will be fielding multiple job offers because hiring you would be a win-win for everyone. Previous Post: « Resume Tailoring – Does It Really Help?